The construction of Fontana Dam began in January 1942 when America was engaged in World War 2. Top nuclear scientists in the United States were working on the Oak Ridge Project as part of the war effort and it was essential that an abundant supply of high grade electrical energy be made available for that project. The Fontana Dam hydroelectric project was given a high priority and placed on an accelerated schedule for completion. A railroad was built to transport building materials and supplies and a large village sprang up almost overnight in the middle of the forest in the remote mountains of Western North Carolina. The Village became home to the families of the 5,000 people who worked around the clock, in three shifts, 7 days a week to complete this engineering marvel. Signs were posted everywhere reminding workers of their patriotic duty to the war effort and military marches and big band music were piped over a loudspeaker system to the camp, the softball field and the cafeteria. Construction time was slashed dramatically, the Dam was completed, and water began to fill the lake in November of 1944. The first electricity was generated in January of 1945 and today Fontana's three turbines generate 250,000 kilowatts of hydroelectric power. In addition to electrical generation the Fontana Dam and Lake along with the smaller dams and lakes upstream provides flood control for the watershed area. Tributary streams that feed Fontana Lake include all the streams in Western North Carolina. Three major rivers the Tuckaseegee, the Nantahala, and the Oconoluftee merge with the Little Tennessee River to feed Fontana Lake. The Lake borders the Great Smoky Mountains National Park where Chambers Creek, Eagle Creek, Forney Creek, Hazel Creek, Lands Creek, Nolands Creek and Pilkeys creek are also tributary streams feeding Fontana Lake. An ideal location was chosen for Fontana Dam that provided for the harnessing of a large and complete tributary system of streams for a lake bordered by tall mountains in an area that had an average annual rainfall of 75-80 inches. The engineer who discovered the potential site for Fontana must have been thrilled at the existence of such an ideal set of variables! Today boat docks and launching ramps are located in various places along the lake to provide recreational access to Fontana's many visitors. Many types of fish are abundant in Fontana Lake including rainbow, brown, brook and steelhead trout, large and small mouth bass, pike, perch and crappie. A number of large and popular fishing tournaments are held on Fontana attracting droves of enthusiastic fishermen from all over the country. Water sports fans enjoy swimming and skiing, and boaters enjoy motorboats, pontoons, houseboats and jet skis. The construction village at Fontana has been turned into a popular resort offering a variety of recreational activities. The TVA Visitors Center located at the Dam offers an entertaining and educational presentation of hydroelectric power production and the history associated with the building of Fontana Dam. An incline tram transports visitors to the power house where tours of the facility are provided. Visitors are treated to great views of the dam, the water discharge tunnels and the scenic splendor of the lake and mountains from the Observation Deck and the Overlook. Hikers on the famous Appalachian Trail cross Fontana Dam. Fontana Dam is located about 28 miles from the scenic Nantahala River Gorge. 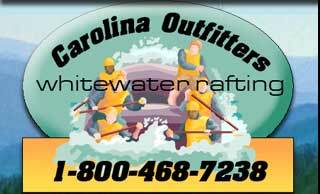 The Lake reaches to just below the Nantahala River "take-out site" for whitewater sports in the Nantahala Gorge.